Sharon’s album was already titled Sacred Earth, so the inclusion of the song on the album was a natural fit. Sharon worked on the song with Alyra and engineer Craig Mulvagh and brought in Susan O Neill on vocals and trumpet, resulting in a trad Irish/ hip hop/ rap hybrid with an important message. 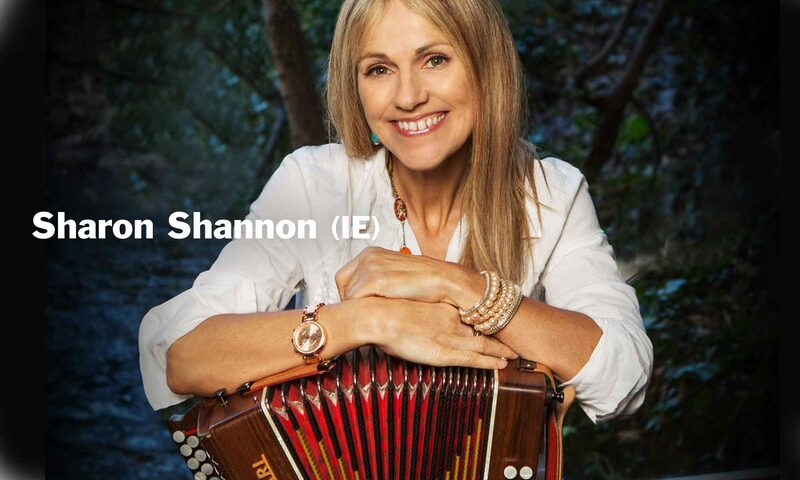 Sharon Shannon has been at the forefront of the Irish music scene for near 30 years. She has successfully managed to help bring traditional Irish music to wider market both in Ireland and internationally. Recently conferred with an honorary doctor of music degree from NUI Galway, Shannon has been fearless in her collaborations and has recorded and toured with The Waterboys, Bono, Jackson Browne, John Prine, Willie Nelson, Elvis Costello, Jools Holland, The Chieftains, The RTE Concert Orchestra and many more. Her collaboration with Steve Earle on The Galway Girl (later recorded and released with Mundy) became a number 1 hit in Ireland and is now a global anthem. Sacred Earth, her 10th studio album was recorded at Peter Gabriel’s Real World Studios in England. Produced by Robert Plant’s guitarist and producer, Justin Adams the album features new material written collaboratively with African musicians including Seckou Keita, the renowned Kora master and percussionist from Senegal and also features classical influences and stunning vocals performances from Irish legend Finbar Furey, Australian duo Hat Fitz and Cara and newcomer Susan O Neill (SON). The Machine is the debut single from Sacred Earth. Susan O Neill will join Sharon and band for her Sacred Earth tour of Australia and New Zealand 2019.